Cleaning wood furniture can be a little scary, especially if you are a lover of antiques like I am! I have used some store bought furniture polishes that worked okay, but some can be super harsh. 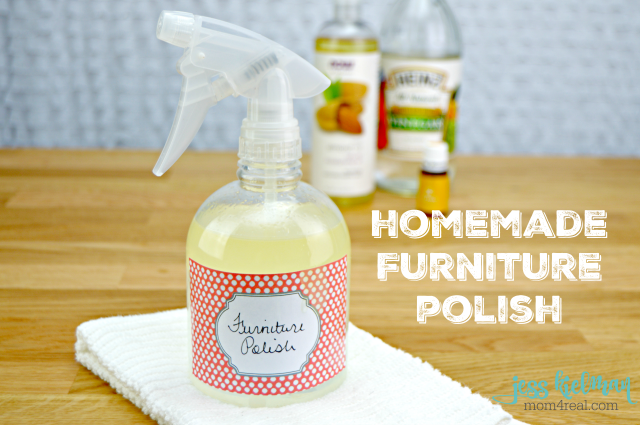 I recently started making my own homemade furniture polish and love it! Not only does it clean my wood furniture surfaces, it also helps to moisturize and protect the wood without damaging it. I make mine with a nice lemon scent, but you can totally leave the lemon essential oil out if you prefer. I am sharing my recipe here with you and I am also including a short video showing exactly how I make it…be sure to catch it at the end of this post! This post contains affiliate links, which means if you click on them and make a purchase, I will receive a small commission. 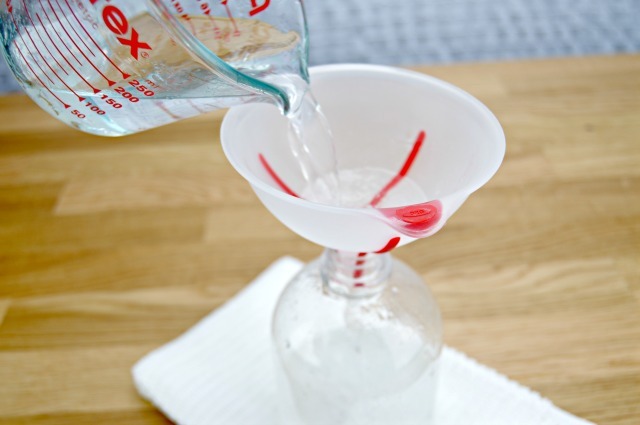 Start by pouring 1 cup of water into a clean spray bottle. Next, add 1/2 cup of Almond Oil. 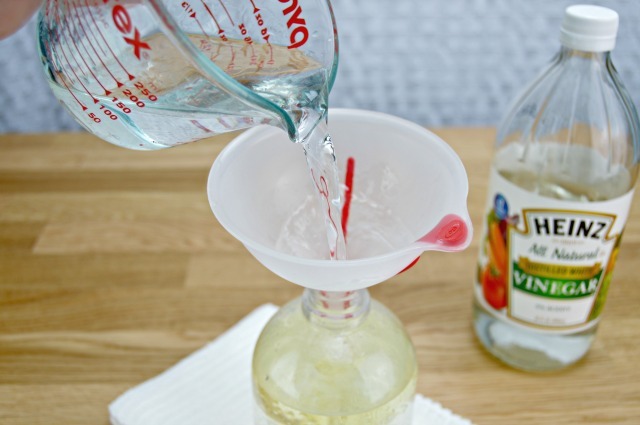 Now add 1/2 cup of White Vinegar. 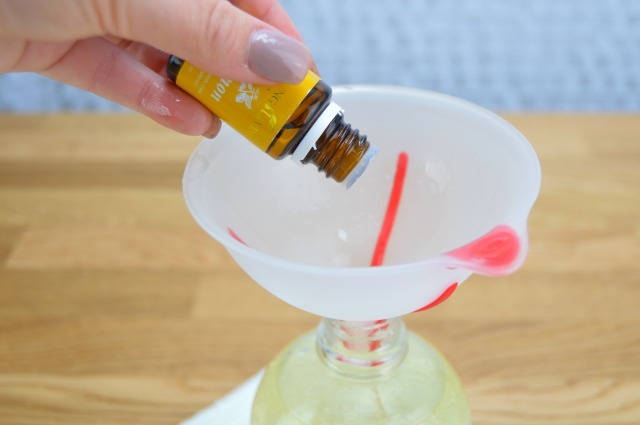 If you’d like a little extra cleaning help and a nice lemon scent, add 20 drops of Lemon Essential Oil. Give it a good shake before each use. Because there are no binding chemicals, the ingredients separate when left sitting. 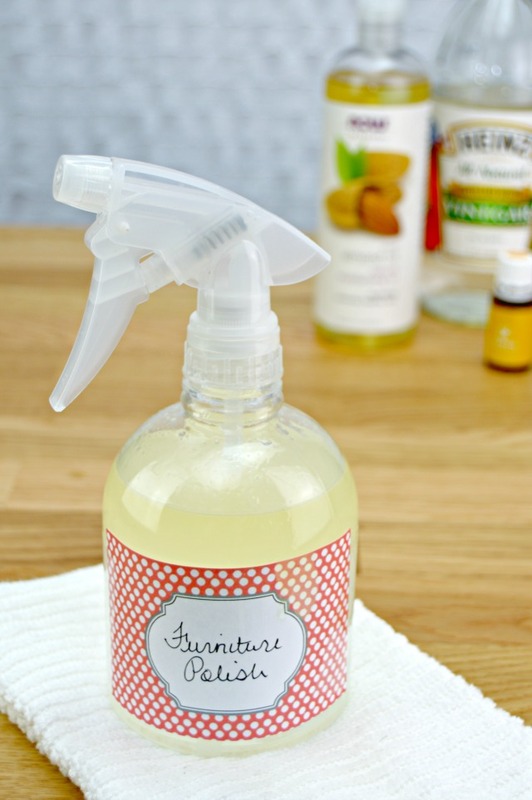 Simply spray a liberal amount onto a clean cloth and use to clean any wood surfaces…works great on painted furniture and butcher block and cutting boards too! Now…check out the cute video I put together showing how easy it is to make and don’t forget to grab my Free Printable Cleaning Labels too! 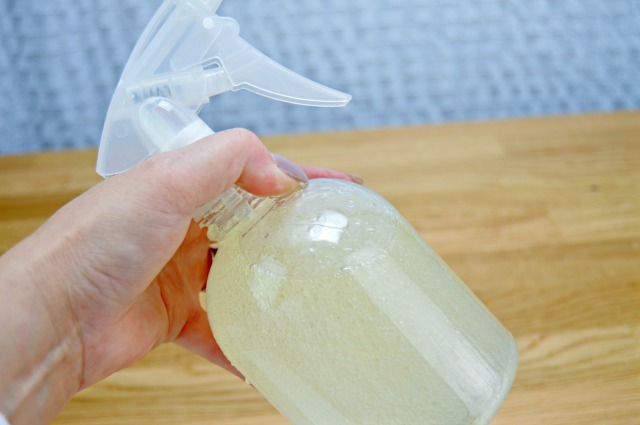 Find all of my Cleaning Hacks and Home Tips HERE in one place! 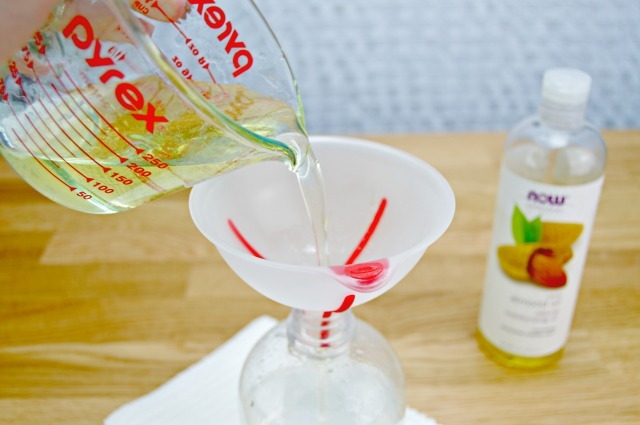 can i substitute almond oil with coconut oil or olive oil?